Packed with Cheddar and Monterey Jack cheese, Zinger-fillet chunks and drizzled with a pineapple-mango sauce that makes the last bite taste the best. 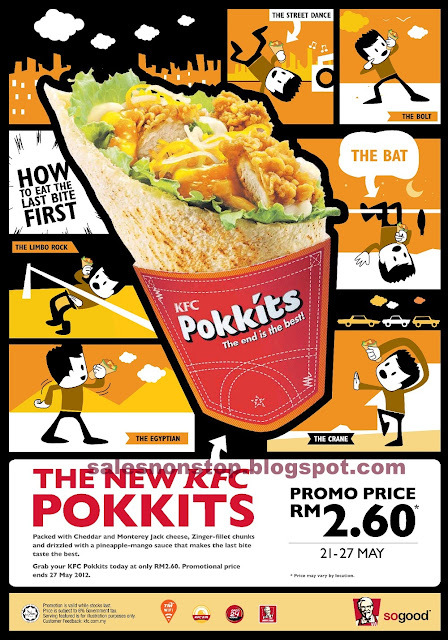 Grab your KFC Pokkits today at only RM2.60. Promotional price ends 27 May 2012. Do you like the New KFC POKKITS promotion?